Had a gleaming day at Silverstone – day 3 of F1 testing. Awesome! 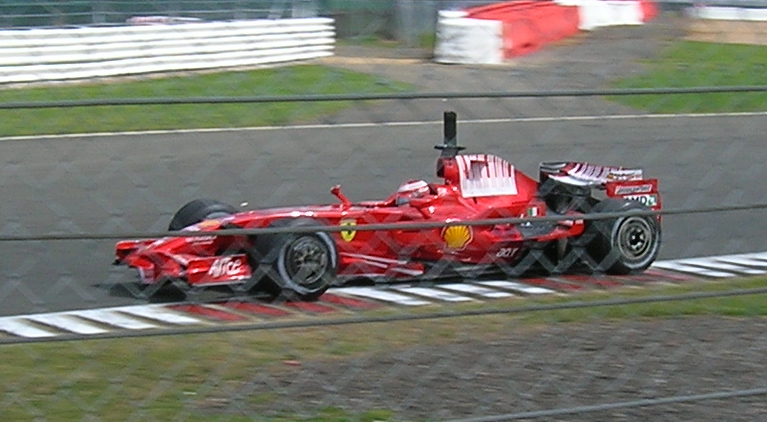 Kimi and Ferrari were fantastic! Some interesting machinery in the car park as well: e.g. Ferrari 430, a beautiful 328GTS, Aston Martin Zagato (pity about the green metallic, dude) and a Porsche GT3. Minor flies in ointment: too many restrictions on where we could spectate from, the price of entry (!) and that bloody catch fencing. Even if I had a decent camera the fencing has made getting decent pictures a thing of the past. Still, an excellent day all round.